This guide explains how to uninstall an old XLSTAT version (< 2017.4) from your Mac. 1. First close Excel and XLSTAT. 2. 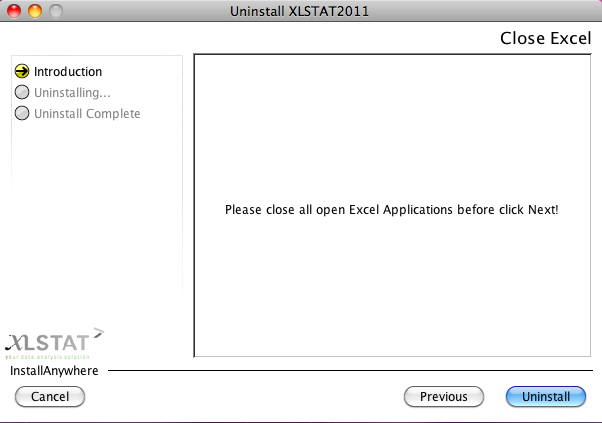 Go to Applications > Addinsoft > XLSTAT > Uninstall_XLSTAT. 4. In the Uninstall_XLSTAT folder execute the file Uninstall XLSTAT. 5. The InstallAnywhere application starts up. Launch the uninstallation procedure by clicking the Uninstall button. 6. 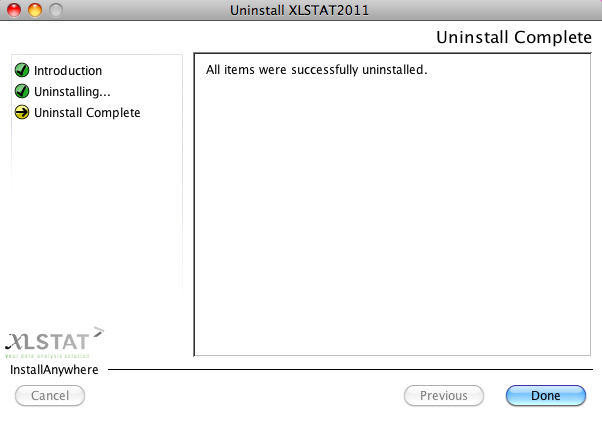 When XLSTAT is uninstalled exit the InstallAnywhere window.